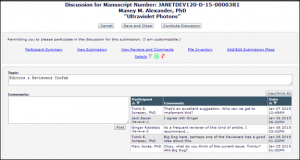 Social Media site or Open Access repository? Look before you leap! 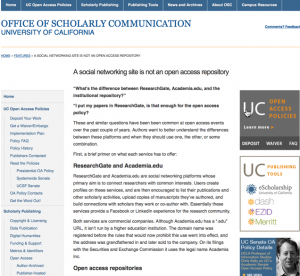 What do Open Access repositories and social media sites have in common? Aries undertakes continuous curation of the Editorial Manager user interface (UI). As a result, users may have noticed a pattern of incremental improvements. In many cases, these changes are so intuitive and natural that you may not have even noticed them! Here are 12 recent UI improvements – which ones did you notice? Geological Society of America and Aries Systems have entered into an agreement to use Editorial Manager functionality to support their books workflows. The International Journal of Agricultural Management, published by the Institute of Agricultural Management, recently adopted Editorial Manager for manuscript revision and peer review. 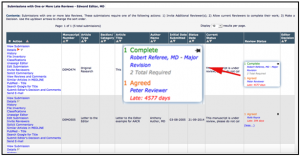 Be the first in your circle to take advantage of version 12.2 to explore new open peer review options! Five reasons to register for EEMUG 2016 today! It may be months away, but Aries’ Director of Product Management Tony Alves is already thinking about spring! 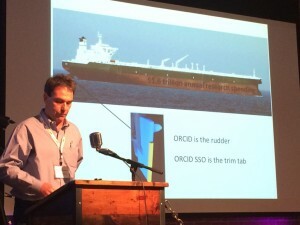 Earlier this month, ORCID held its annual US Outreach meeting at GitHub in San Francisco, California. Last month, SSP hosted a webinar on funder mandates, and what publishers can do to help researchers comply.